Monsoon Tours is a community of partners and devoted contributors to Cambodia’s development to a major tourist destination. Cambodia offers far more than only the famous Angkor sites situated near the city of Siem Reap. Alas, nowadays the latter serve almost exclusively as short jaunt targets for travellers from the neighbouring countries. Cambodia, with its salutary climate, beautiful beaches and abundant reserves of natural and ancient architectural potential, has all essential prerequisites (all the necessary services inclusive) to offer its visitors interesting trips for a fortnight or longer, enchanting them by the beauty of its landscapes, by its impressive wild life and by the fascinating friendliness of its people. Our academic qualification combined with profound knowledge of culture, language and history of Cambodia, our nearly 25 years of experience in tour planning and operating, our engagement for the development of Cambodia in different fields, including reduction of rural poverty and support of women and children, and eventually our love and dedication to this country with tragedy-stricken history – are unmatched in the Cambodian travel industry. In 1987 the future founder of Monsoon Tours Frank Ludwig earned his graduate degree in International politics and history as a highly qualified specialist for Indochina / Cambodia with knowledge of Khmer and French. In 1987-1992 he implemented humanitarian and development aid projects with SODI International: for children of Chernobyl, for UNICEF, as well as in the framework of projects for Cambodia. From 1991 to 1992 he was responsible for the project office of SODI International in Phnom Penh. In summer of 1993, after a year of additional commercial training in foreign trade and the subsequent internship at the Thai-German Chamber of Commerce, in Bangkok he started his work in the Cambodian tourism industry. In summer of 1995 Frank Ludwig founded Monsoon Tours which herewith belongs to the oldest tour operator companies in Cambodia. Unlike many other agencies, Monsoon Tours did not unilaterally concentrate its efforts on single-language markets, but from the very beginning co-operated (owing to versatile linguistic abilities of its founder) with many agencies of Europe and other continents. It is also important to mention that without the help of the owner of SODETOUR in Laos, Claude Vincent, this rapid market access would have been far more difficult. In 1996 Monsoon Tours rented a separate booth space at the ITB Berlin. Acting in concert with companies from Laos, Thailand and Myanmar, Monsoon Tours (Cambodia) established the “Asian Horizon Group”. 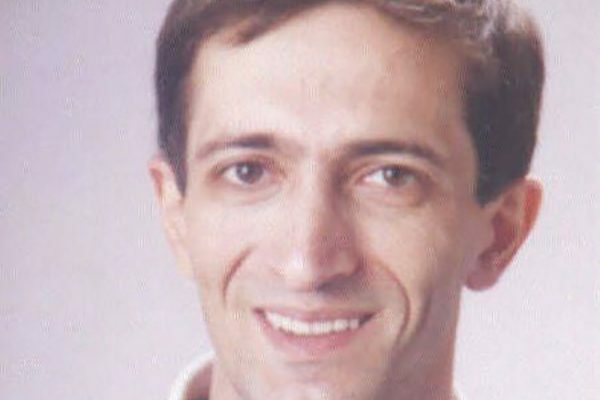 Claude Vincent (founder of SODETOUR) became one of the partners. In September 1996 Vincent was en route from Vientiane to Luang Prabang as he and his crew were attacked and murdered by bandits. Vincent had lived 35 years in Laos. It remains to speculate whether with Claude Vincent Asian Horizon would have become a successful group of companies. In fact, after several joint activities, the group broke up. From 1997 onwards Frank Ludwig, besides running his travel business, was activity involved in a German development aid project supporting Cambodian handicrafts (www.cambodian-craft.com). During the following years he was frequently active as a short-time expert for EU and UNIDO projects not only in Cambodia, but also in Bhutan and Laos. Some of these projects found their way to our Tour Catalogue, offering the traveller tours to such places where traditional crafts of Cambodia are still alive. Among them are visits to potters of Kampong Chhnang, to silk weavers in Takeo (www.silkfromcambodia.org), to wicker-workers in Kratie or to the silversmiths of Kampong Luong (near Oudong). Since 2002 Monsoon Tours is committed to protection of vulnerable populations of freshwater Irrawaddy dolphins in Kratié Province. A year later Monsoon Tours, in collaboration with the Wildlife Conservation Society – became the first tour operator to offer special tours for ornithologists and birdwatchers. Our Monsoon Tours team has again successfully lived up to its reputation of an innovative, ambitious and reliable tour operator. We have extended our offers in the field of eco-tourism and ornithological tours. More attention is being paid to community based tourism now. Beside the traditional destinations in and around Siem Reap and Angkor area as well as Phnom Penh and Sihanoukville, we shall further increase the promotion of other Cambodian provinces. Herewith we should like to contribute to a more balanced development of tourism – especially to the benefit of rural population of the country. Due to partially over-commercialised Angkor tourism, many highly attractive and for this region fairly unique places of interest have had few chances for development until now. Frank LUDWIG founded Monsoon Tours in July 1995. He is a true Cambodia expert. After receiving his academic degree in International Relations with specialization in Indo-China / Cambodia, he initially worked in the field of development aid. He also studied international trading, speaks German (mother tongue), Russian, English, French and some Spanish. His extensive Khmer knowledge he acquired when he was a student. Frank Ludwig has travelled many countries of the world, including such exotic ones like Bhutan. He lived six years in Russia and 12 years in Cambodia.Frank has guided many tourists himself through the Angkor temples and other regions of Cambodia. He also has a firm commitment to eco-friendly tourism, promoting respect of the land and respect for the cultural heritage of indigenous populations. Frank has worked many years for development agencies in Cambodia and other Asian countries. Several years he worked as tourism advisor for a German development agency. Frank is very fond of rock music and classics (not only because he used to be a drummer in a rock band and finished an evening music school). Frank loves athletic challenges: 30-100 min. long distance swimming in open cold waters with a temperature of 5-15 degree Celsius. 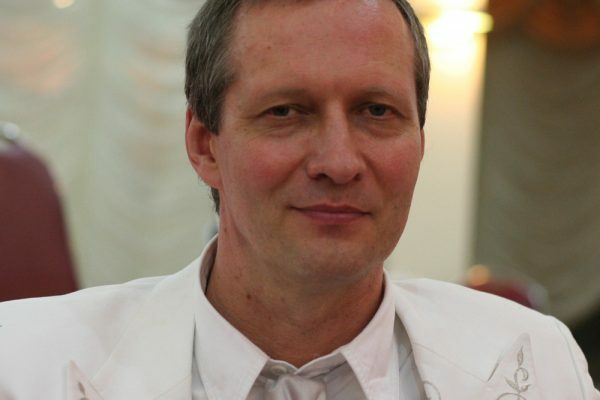 Armen HOVANNESJAN. Years ago Armen travelled with his wife Marina throughout Cambodia. Both fell instantly in love with this wonderful country and its friendly people. Since then, Southeast Asia became Armen’s passion he would like to share with the rest of the world. He has an academic degree in linguistics, speaks several languages. He is a management, marketing, lecturing and IT expert. Armen takes care of contracting with hotels. He stays in direct contact with travel agencies and customers on site. He has two sons, a daughter and two grandchildren. His hobbies are music, human and machine languages, chess, skydiving and green tech. Un Navann has been in travel business since 1992. 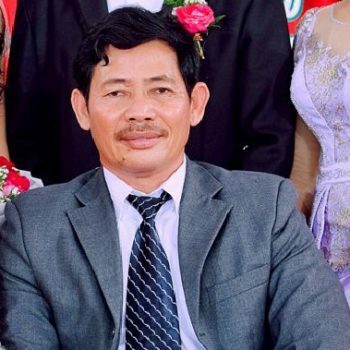 Navann is in charge of tour operations in Angkor and other Northern provinces. He is a very responsible and reliable person. His knowledge about Cambodia’s Northern travel sites is outstanding. Seung Kimyonn grow up in a silk handicraft village, studied silversmith arts at Phnom Penh Royal Fine Arts University. He deeply loves Khmer crafts and culture. Kimyonn is a very kind person and a good customer caretaker. 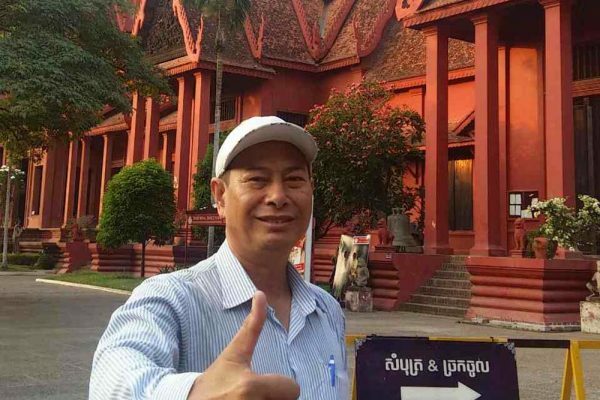 Kimyonn is managing tour operations in the capital Phnom Penh and Southern areas.